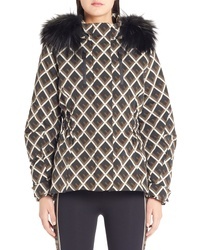 Fendi Reversible Hooded Jacket $1,290 Free US shipping AND returns! 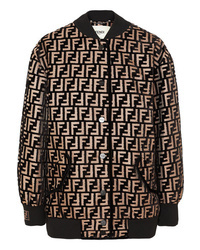 Fendi X Fila Mania Logo Jersey Jacket $1,790 Free US shipping AND returns! 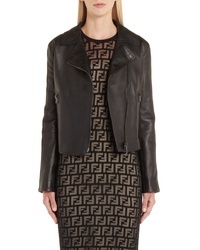 Fendi Leather Jacket $3,980 Free US shipping AND returns! Fendi Leather Jacket With Faux Fur Logo Cuffs $3,980 Free US shipping AND returns! Fendi X Fila Mania Logo Reversible Bomber Jacket $2,590 Free US shipping AND returns! Fendi X Fila Mania Logo Zip Jersey Jacket $890 Free US shipping AND returns! Fendi Deco F Technical Coat With Genuine Fox $3,980 Free US shipping AND returns! 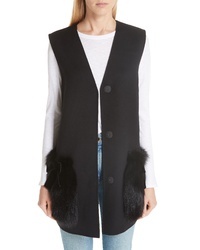 Fendi Wool Vest With Genuine Fox $3,590 Free US shipping AND returns! 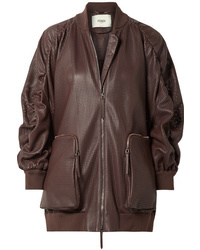 Fendi Oversized Ruched Perforated Leather Bomber Jacket $5,400 Free US shipping AND returns! 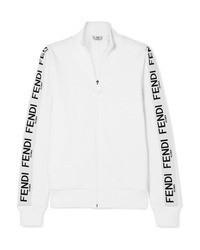 Fendi Wonders Cotton Blend Jersey Track Jacket $770 Free US shipping AND returns! Fendi Oversized Flocked Velvet Bomber Jacket $3,980 Free US shipping AND returns!